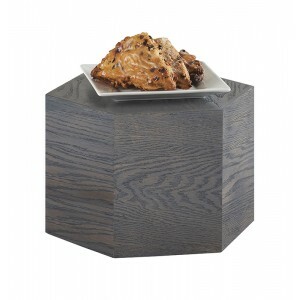 Ashwood Hexagon Risers - Cal-Mil Plastic Products Inc. These new 6-sided risers will add volume and style to any display. The gray-washed oak offers a unique and attractive appearance to compliment any contemporary décor and is available in three sizes!